Backups are a key component in DevOps and system administration. Having the ability to restore a machine to a previous state, or to even to simply get back precious lost files, is extremely important to keeping your business running efficiently and effectively. When disaster strikes, having a backup ready to restore eases the stress and burden on everyone involved. It helps to lessen both data loss and the amount of time it takes to have apps and services back up and running. If you are looking for backup solutions for your apps and services, then VMware is an excellent choice for getting the features you need in a backup system. To get the most out of a VMware backup solution, it is helpful to understand what VMware is, how it came to be, how it works to create backups, and where you can find services that offer VMware backups. VMware is a very popular cloud integration choice, as they provide an excellent virtualization solution – one that is arguably the father of the virtualization space. As such, numerous organizations use the technology VMware provides and make use of one or many of the services they offer. Over time, VMWare has developed numerous products, and are probably best known for their hypervisors (software or hardware that can be used to create and run virtual machines), especially the GAX hypervisor. 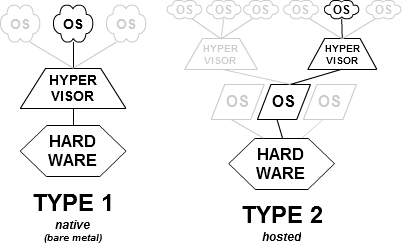 VMware allows hardware for guest operating systems to be virtualized, providing hard disk, video, and other adapters, as well as pass-through drivers for parallel device connectivity. This allows system administrators to have a great deal of flexibility when setting up new guest machines, as VMware gives them the ability to pause and copy machines with ease. What is a VMware backup? VMware backups provide the ability to backup and restore machines, which is vital when you need to keep your data and be able to get machines up and running again quickly. A VMware backup is achieved using their tools directly, or via third party tools that interface with the VM kernel. Third-party tools are able to interface using the vStorage APIs. There are a number of API integration possibilities, such as APIs for array integration, multi-pathing, recovery, and data protection. Third-party vendors can make use of each of these to create products and services that allow their customers to make use of VMware's powerful backup and recovery solutions with ease. VMware backups provide a number of advantages for systems administrators and end users. For example, the use of thin provisioned disks for backups allow for data storage space to be allocated dynamically rather than requiring that any potential space needed for a backup be provisioned when the disk is created. This dynamic allocation provides more flexibility and can save on disk space usage, as disk space can now be expanded as needed to fulfill the necessary backup space needs. The other advantage to thin disks is that thin disks do not require backup apps to search for empty disk blocks, which allows for faster backup times. Another helpful VMware advantage is the ability to hot-add virtual disks. This means that one virtual machine can mount the disk of another to back it up, even while it is running. This helps to keep down network backup traffic, thus keeping your network from the additional burden of traffic being used to specifically perform machine backups. There are a number of VMware backup services provided by various vendors, from local apps to full cloud-based solutions. Some VMware backup solutions even operate seamlessly within other, larger systems that provide you additional services such as server monitoring, provisioning, scaling, and maintenance. What you choose will depend on the needs of your organization, but it is definitely a good idea to use a service that provides VMware backups, given their advantages. Morpheus is a service that provides numerous cloud-based integrations that allow you to take advantage of not only VMware backups but also many additional features that can provide your system administrators and DevOps team with the tools they need to make their jobs much easier. Morpheus provides features that help you to pull in existing virtual machines into an environment to be able to use VMware solutions with them. Also, Morpheus provides the resources necessary to allow you to administer VMware resources for each customer so that you can provide them to all customers or to particular customers as needed. Morpheus ensures that these resources are scoped and isolated correctly so that you simply need to fill in and make the selections you need to provide the services. With all of these advantages, why not try out Morpheus, which not only provides VMware solutions, but also makes provisioning, scaling, and maintenance a breeze. 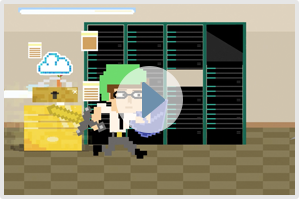 You can provision databases and servers quickly, and have your app up and running in no time! Using the available tools, you can also monitor the various parts of your system to keep track of uptime, response time, and to be alerted if an issue does arise. 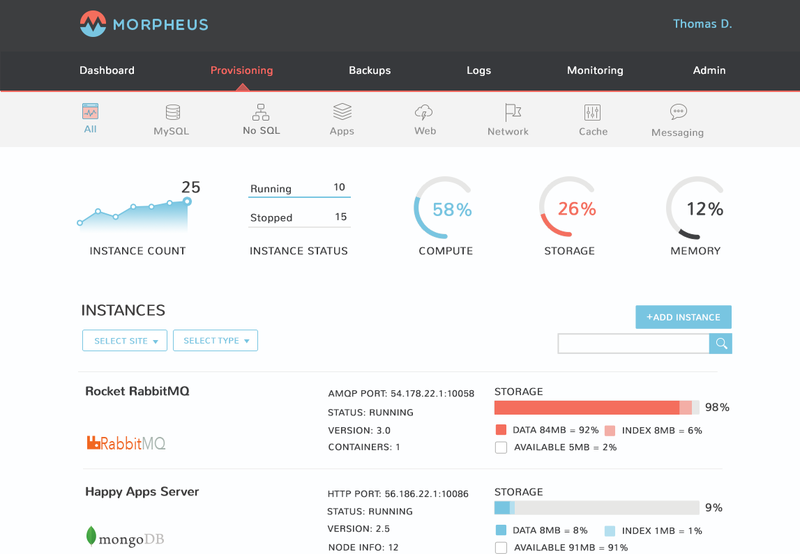 Morpheus allows you to provision apps in a single click and provides ease of use for developers with APIs and a CLI. In addition, backups are also automatic, and you can have redundancy as needed to avoid potentially long waits for disaster recovery to take place. So, why not register an account today?